Today, Suspense Sisters welcomes author, Nancy Herriman, who wrote the Old San Francisco Mystery series, Welcome, Nancy! Stay tuned to win your choice of the first two books in the series. SS: If you had to describe yourself in one sentence, what would you say? NH: A slightly zany individual with an active imagination? SS: What do you do when you’re not writing? Any interesting hobbies? NH: I sing. A lot. And help plan music for one of the choirs at church. Music is my stress relief. SS: What was your favorite book as a teen or child? NH: As a child, I loved ‘The Lion, the Witch, and the Wardrobe.’ As a teen, I devoured Dickens and Agatha Christie. I don’t think I could pick which book of theirs was a favorite. SS: Tell us three things about yourself that might surprise your readers. NH: This one might not be a surprise, given that I’ve mentioned that I sing, but when I was in college, I fronted a cover band. - I have an engineering degree (which I mention in my bio) and used to work in the tech industry. That fact regularly surprises and interests readers. - I’m obsessed with watching American Ninja Warrior. The show has yet to inspire me to go lift weights at the gym, however. SS: What genre did you start out writing? Have you changed course? Why or why not? NH: I began writing historical romance. Then dabbled in Young Adult and Romantic Suspense. Now I’m writing my first love—historical mystery. SS: What has been the toughest criticism given to you as an author? What has been the best compliment? NH: When I was pitching my first manuscript (which has never been published), an agent challenged me to explain what made my story ‘special or unique’. At the time, I couldn’t come up with a good answer. In the years since, I’ve thought about her comment often and hope I’ve succeeded. Readers have frequently told me that they love my descriptions, and feel utterly immersed in the story and the setting. It’s also a great compliment when folks say they didn’t figure out who the killer was! SS: Any other genres you’d like to try? If yes, what and why? NH: I’d like to try my hand at a contemporary cozy. Most of my books are fairly serious, and it might be fun to write with a lighter tone for a change. SS: If you could go back in time and do something differently at the start of your career, what would it be? NH: I wish I’d written more. But my children were small when I began chasing this dream, and I never felt that I had the time. SS: What is the most important piece of advice you’d like to give to unpublished authors? NH: A piece of advice I still give myself on a regular basis—the book doesn’t have to be perfect the first pass, or the second. Or the third! Just get the words down on the page. To win your choice of Old San Francisco Mysteries, either book 1, No Comfort for the Lost or book 2, No Pity for the Dead, leave Nancy a comment below. Sorry, US only. Fall Fun Survey...What's on YOUR plate this fall? Honestly, though the weather here in Northern, CA is still in the 90's during the day (this drought is JUST not going away), we're seeing signs of fall. First off, my box turtle is slooowwwwiiinnnngggg dooowwwwwn. She reacts to the number of daylight hours and the cooler nights, so she's even better than a groundhog at predicting the weather. Second, there's an avalanche of pumpkin themed foods in every grocery store. Since fall is definitely on the way, I thought it would be fun to see what's "falling" in your life right now, peeps. Answer the questions below if you'd like. I'll pick a participant who will win a print or digital copy of Abducted, my newest suspense with Love Inspired Suspense. (If you've already got yourself a copy, I'm happy to give away any of my other titles, if I still have them. ) Ready? Here goes! 1. What is your favorite fall activity? 2. What is your favorite fall food? 3. What is the weather like in your region in the fall? 4. Of course, what book is on your bedside table for those long cool evenings? And just for fun, I've included this TOTALLY SERIOUS VIDEO I made a while back to welcome fall. Think Masterpiece Theater here, peeps. We’re excited to announce a new addition to the Suspense Sisters! 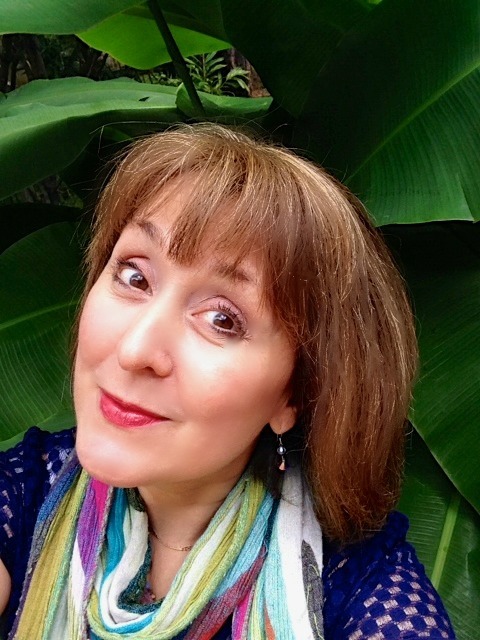 Author Linda Kozar is joining us! You can learn more about Linda from her website. In the next few weeks she’ll be jumping in with posts and interviews. Welcome, Linda! cold-blooded villain. 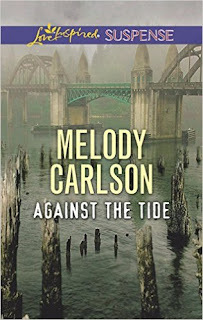 It’s the heartwarming, gut-clenching tale of two against the world, and the masterful Melody Carlson makes it well worth the read.” To see her complete review, go HERE. On Wednesday we’ll hear from Dana again! 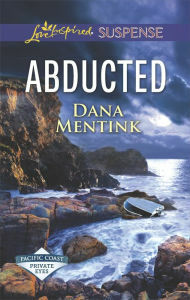 She’s sponsoring a Fall Trivia Contest and giving away a copy of her exciting book, ABDUCTED! 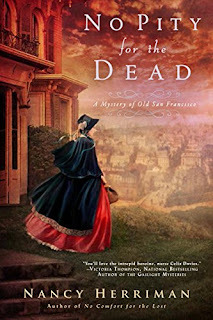 Friday, Suspense Sister Mary Ellis is interviewing author Nancy Herriman who is giving away a copy of her book, NO PITY FOR THE DEAD, Book 2 of the Mystery of San Francisco series. Stop by and enter for a chance to win! 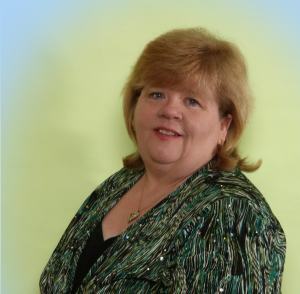 Lillian Duncan is a multi-published author who liveswith her husband in Ohio Amish country . After more than 30 years working as a speech pathologist for children, she believes in the power of words to transform lives, especially God’s Word. She says she writes the types of books she loves to read—fast-paced suspense and mystery with a touch of romance that demonstrates God’s love for all of us. SS: Lillian, your website says that you write “suspense novels with a hint of romance.” Did you come upon that naturally, or did you have to work to find your niche in this genre? LD: It just sort of happened. My books are heavy on the mystery and suspense side but there’s usually some romance in my stories. Some more than others so that’s how I added that to the description of my books. SS: It’s interesting that you’re a speech pathologist. How have your training and the experiences you’ve had affected your writing? LD: As a speech pathologist, I’ve learned to listen to other people talk even when I’m off the clock. I think that’s helped me to write better dialogue, but, of course, that’s just my humble opinion. One of my books had a young girl with speech and language problems, which was really fun for me to write. And I also wrote a 3-book mystery novella series (DEADLY COMMUNICATIONS) that features a speech pathologist who gets a little too involved with her clients. So I guess I’ve melded my two careers together to some extent. SS: I note that you have contributed to some other blogs. Can you elaborate? LD: I’ve stepped back from writing for other blogs for the moment due to health issues. I was diagnosed with bilateral brain tumors in 2012 so what energy I have I use to write my books and work on my own blogs. SS: And I understand that you have a new novel just out. I’m sure our readers would like to hear about that one. LD: I do and I’m so excited about it. The title is GAME ON. It’s a political thriller that features Congressman Lucas McMann.He believes he’s the victim of an elaborate stalking game. The goal being to ruin his political career. The problem is he has no proof that someone is actually stalking him let alone who is behind the game. His choices are clear—either quit politics or win the game!And he plans to win! But he can’t do it alone and he can’t go to those around him since he doesn’t know who to trust. But there is someone he trusts. If only she’s put their past behind her. 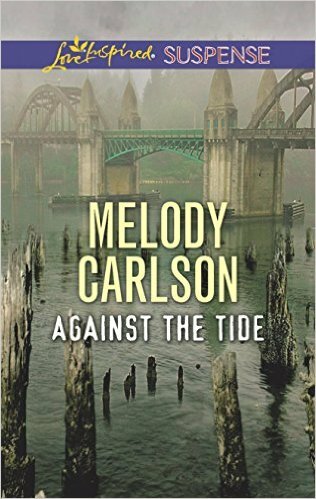 Private Investigator, Nikki Kent makes a living finding out other people’s secrets, but she has one of her own. When Lucas shows up asking for help, she refuses. She can’t take the chance of her own secret coming to light. But her new-found Christian faith won’t let her turn her back on someone who is desperate for her help—even if he was the first man to break her heart! To see the book trailer for GAME ON click this link. You can purchase the book via Amazon or Pelican Books. SS: Even though it sounds like something the warden says when a prisoner’s last-minute appeal is denied, do you have any last words? LD: Mmm…do I have any last words? Just to thank you for letting me visit with all your readers so I could talk about my books. To learn more about Lillian, you may visit her at www.lillianduncan.net or www.lillian-duncan.com. She also has a devotional blog at www.PowerUpWithGod.com. 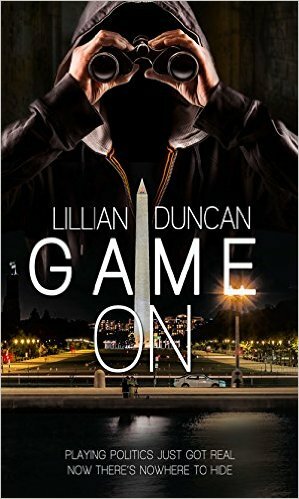 Lilian is giving away a cop of Game On to a randomly chosen commenter. At her own site Lillian is giving away a virtual basket of goodies including Amazon gift cards, Tiaras, and Tennis Shoes. Simply leave a comment on the blog post GAME ON at www.lillian-duncan.com and you’ll be entered. But first, leave your comment here (including your email address) for a chance at the book--and thanks for visiting. Click here to leave a tweet, telling others about this. Nancy Mehl lives in Festus, Missouri, with her husband, Norman, and her very active puggle, Watson. She’s authored twenty-four books and just finished a new series for Bethany House Publishing. The first book in her Finding Sanctuary series, “Gathering Shadows” was released in May of 2014. The second book, “Deadly Echoes” became available in February. The third book, “Rising Darkness released in November. Now she’s writing a new series based on the U.S. Marshals. 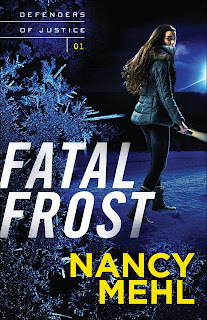 The first book, “Fatal Frost,” in her Defenders of Justice series, will release in November of 2016. She is also working on an Amish cozy mystery series for Guideposts. The first book, “Blessings in Disguise” was published in June, 2015 and was nominated for a Carol Award. It was followed by “Simply Vanished,” and “All Abuzz at the Honey Bee.” She will write at least one more in this series. What happens when life suddenly goes in a direction you didn’t anticipate? When you feel as if you’re starting over again? Do you feel confused and discouraged? Don’t! Chances are, God is doing something new. 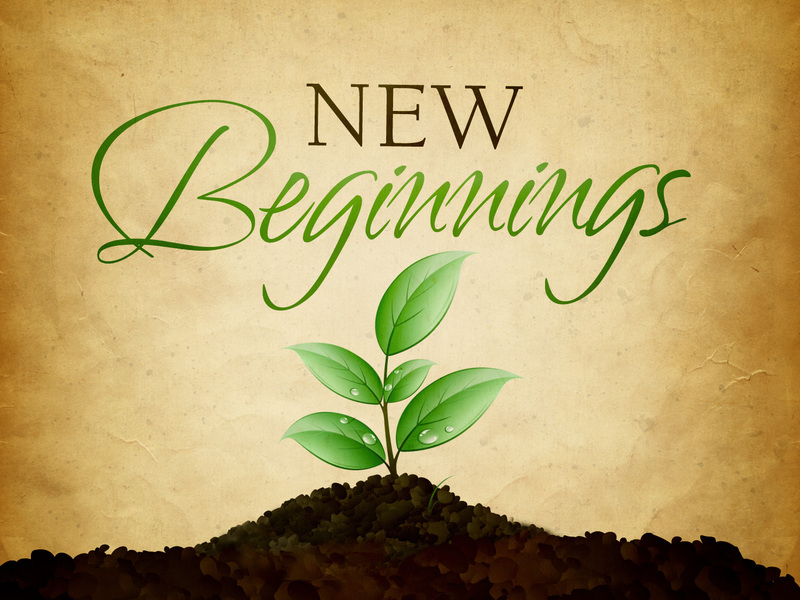 You’re facing a new beginning – and that can be a great thing! When I started out writing, I wanted to write secular mysteries that would deliver a gospel message to people who might not ever pick up a “Christian” book. My intentions were good, and I’m sure some writers are called to do this. But when I finally put my writing career on the altar and sought God’s will, not my own, God opened doors into inspirational fiction. Now, I believe I’m called to “feed His sheep,” and I love what I do. Along the way, mysteries, my first love in fiction, went to cozy mysteries, to romantic Mennonite-themed suspense, and now…to law-enforcement themed suspense with a touch of mystery! Why all the changes? I’m not sure, but sometimes on the road to where we’re going, there are twists and turns we don’t expect. But don’t fear! God knows how to get us where we’re supposed to be. All we have to do is trust Him. Remember that He loves us, and He promised that He would never forsake us. So, here I go again. A new beginning. But I’m excited, and I hope my readers are too. I’m passionate about law enforcement, and I’m honored to write about our brave men and women in uniform. The suspense has been kicked up – but the ministry is still there. 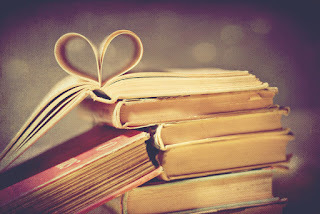 I want to give you a great story, but I also want you to walk away with something more important. A glimpse into how much you’re loved by God and how valuable you are to him. something they aren't. The characters are smart, cunning and know how to use their wits to get them out of tight situations. The plot is fast paced and is not standard or run of the mill. Nancy Mehl has raised the bar with her new series. U.S. Marshall Mercy Brennan is not happy to be in close proximity with her father — she has been out of contact with him for a long time. Now she’s assigned along with the St. Louis Police Department to take down an infamous gang. When Mercy's father is killed shortly after her visit, she is in danger because of something in her possession. Mark St. Laurent, a Deputy U.S. Marshal, has been assigned her protection detail until the department can apprehend the gang. While in the safe house, an ice storm has left them without backup and on their own. Mercy and Mark will have to trust each other and think on their feet to come out alive. (BETHANY HOUSE, Nov., 304 pp., $14.99). I’m giving away three copies my upcoming novel, FATAL FROST! Leave a comment below, along with your contact information, for a chance to win. Hot new inspy suspense for September!